Sorry the deadline has passed. Where in Carolina Country is This? The April “Where Is This” photo by Renee Gannon features “Pete,” one of three bronze statues dedicated to William Sydney Porter, otherwise known as O. Henry, located in his hometown of Greensboro at the corner of North Elm and Bellemeade Streets. 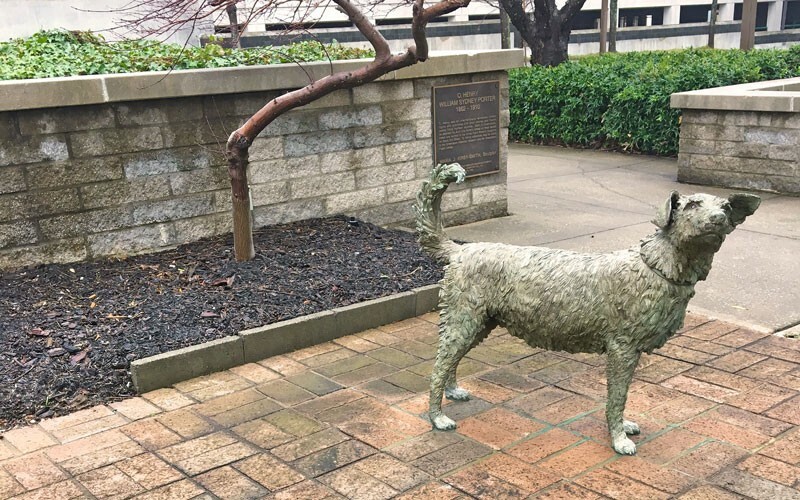 Pete served as the narrator in the story “Memoirs of a Yellow Dog,” and the statue is based on O. Henry’s own dog, Lovey. A few of you picked up on the connection to this photo and the April article “Along the Writer’s Path” (April 2019, page 32), which featured the O. Henry trail. Correct entries came from all across the state. The winning entry chosen at random from all correct submissions came from Mary Jordan of Pinetown, a Tideland EMC member.